A new release of Inkscope is available on Github. 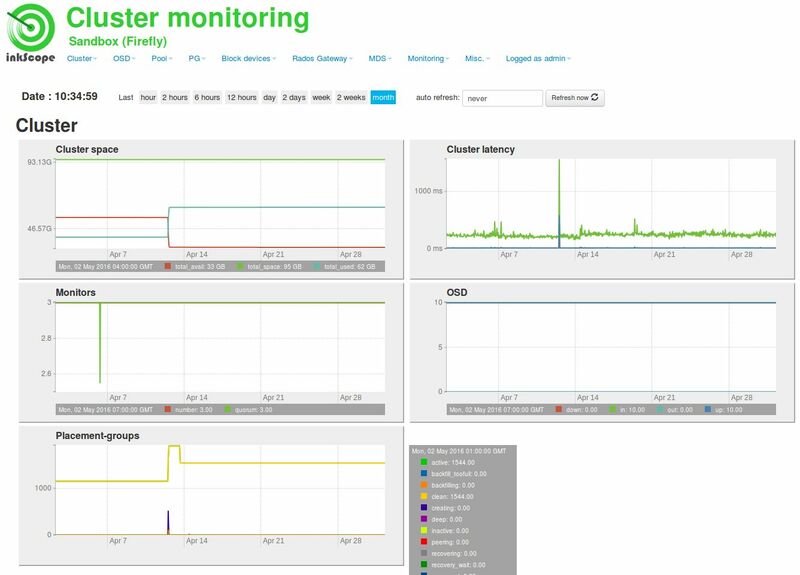 The main feature of this release is Monitoring Ceph with collectd and influxdb. This feature is optinal but can be activated following this wiki page instructions. Is it compatible with Hammer/Jewel?